I want to come clean about something, even at the risk of making USTOA somewhat uncomfortable. 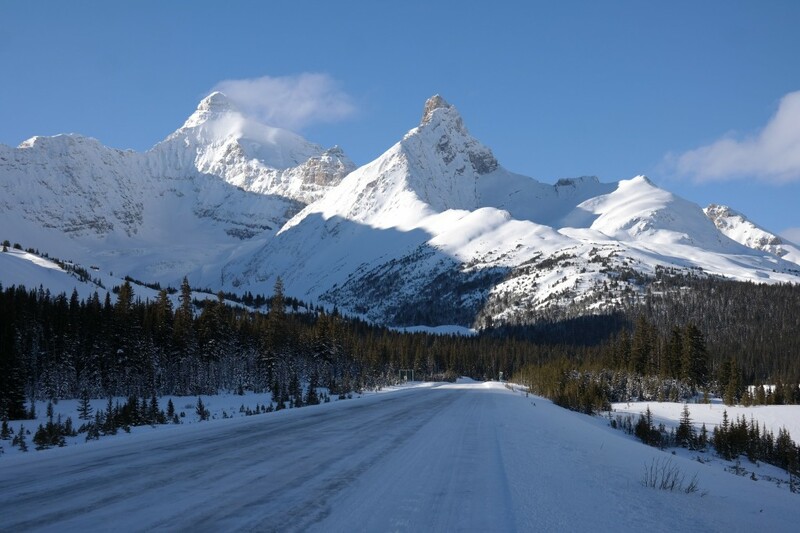 When AFAR first contacted me to find out if I would be interested in traveling to the Canadian Rockies on a tour with Collette, part of me was enthusiastic. I’d have the chance to see a province I’d never visited, Alberta, and its world-famous and UNESCO-recognized parks: Jasper and Banff. Another part of me thought, “huh, a tour?” I had images of being shepherded around with a group of camera-toting tourists and seeing the grandeur of the Rockies only from behind the windows of a bus. My experience traveling with tours has been limited to occasional day trips or walking tours except for one trip to Morocco almost two decades ago. Until this winter, and my Collette trip, I thought of tours as being only for people incapable of deciphering bus schedules and finding the best local restaurants on their own. A tour was, I dismissively believed, not for “real” travelers. The Collette Winter Wonderland trip began to shake my preconceptions on the first morning. Our exploration of Edmonton, Alberta’s capital, began with a visit to the provincial legislature. It wasn’t open to visitors that morning, but Daniel, our guide, was able to use his connections to get us in for a private tour. The exclusive access was an obvious perk of traveling with Collette, but the tour itself was a surprise. On my own, I would have admired the chandeliers and regimental flags in the grandiose early 20th-century building, but with Collette, I found that my fellow travelers were seriously interested in discussing the history of the Alberta Social Credit Party (look it up on Wikipedia) and why most U.S. states have bicameral legislatures while most Canadian provinces have unicameral ones. If I needed more evidence that I was traveling with a bunch of fellow nerds, I also met Charlotte that morning. This German-born professor of nuclear physics from the University of Ohio would later that day be able to explain the uncertainty principle to me in a way that I finally understood it and its significance—a bonus of this trip that was not mentioned in any of the Collette descriptions of the itinerary. 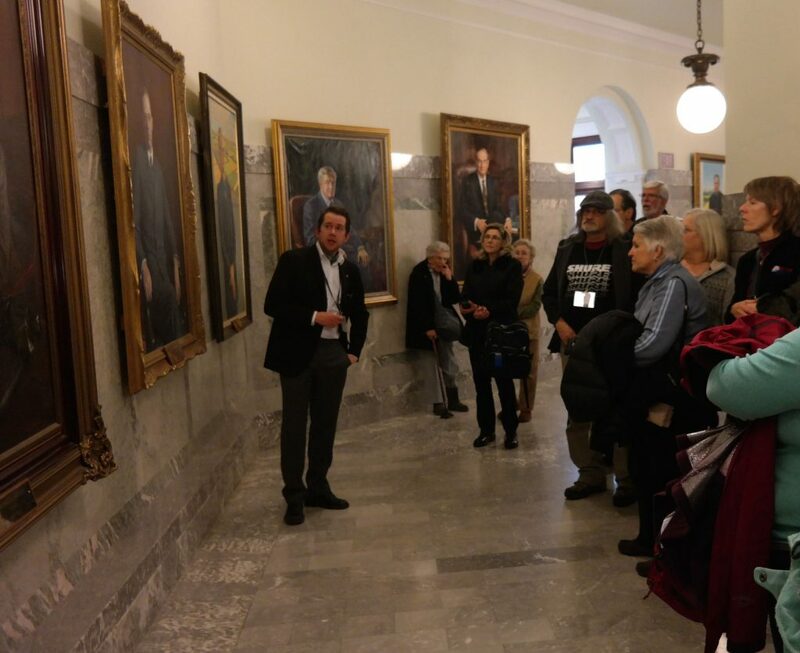 The provincial legislature was only the first of a number of activities on the Collette trip that I would not have experienced had I been traveling solo. Yes, theoretically individual travelers can sign up to go snow-shoeing and dog-sledding, locating outfitters and making arrangements, but I know that if I had been traveling on my own, I’d first have to figure out how to get from Edmonton to Jasper and then on to Lake Louise, Banff, and finally Calgary. Before searching out activities and sights, I’d need to plan where to sleep each night and eat each meal. 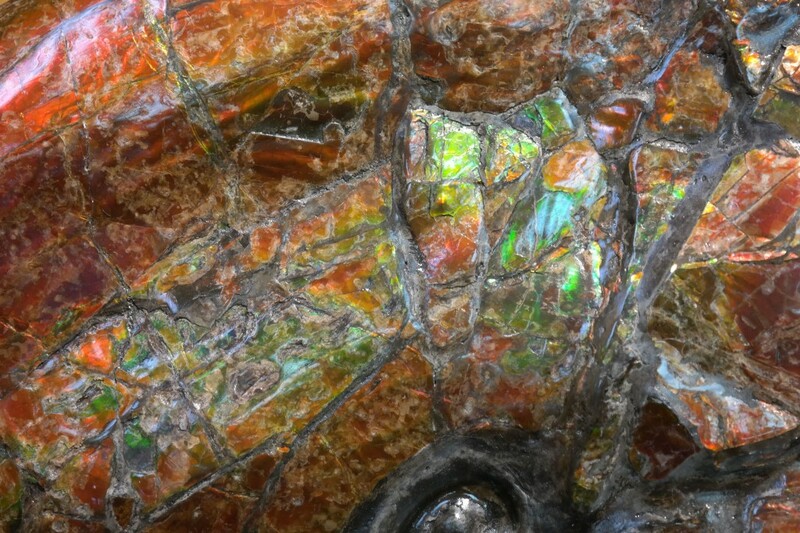 And there were cultural highlights I would never have even known to ask about, like a talk by a jeweler about ammolite, a gemstone unique to the Canadian Rockies that I had never heard of before this trip. Charlotte was not the only person in our group who made this trip surprisingly rewarding for me. 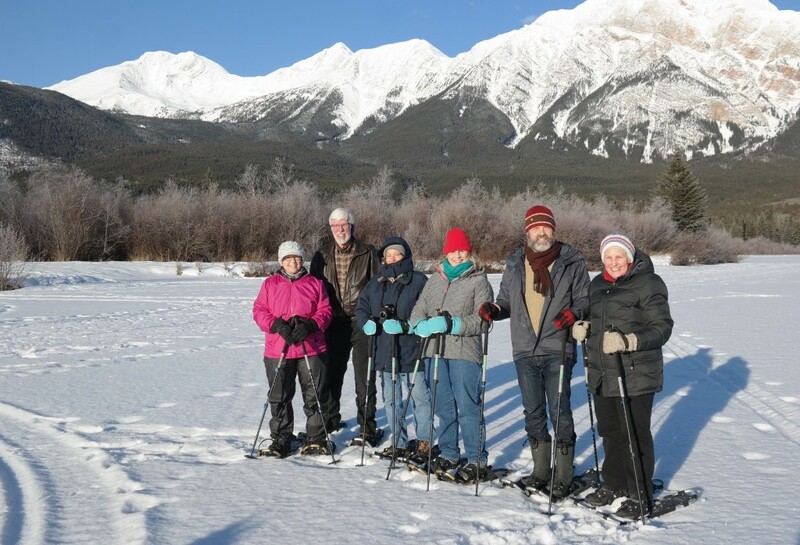 Without getting into my politics, Barbara, a Methodist minister also from Ohio, and I bonded over our similar views while snow-shoeing, while Ben, a farmer from southern Georgia, and I got into a sometimes heated but always friendly discussion, while savoring Alberta bison at the Fairmont Chateau Lake Louise. (This trip fell over the week that included the inauguration and march on Washington, so politics were hard to avoid.) It’s frequent these days to bemoan how isolated many of us are in our bubbles, and Collette drew me out of mine for a week. I knew that I would come back having seen a part of the world, Alberta, that I had never been to before. I didn’t realize I would also become friends with other Americans from places in the country far from my home in Brooklyn. Now not only are other guided tours on my must-do list, but places from Sandusky, Ohio to Hiram, Georgia and new friends in those places are on my must-visit list too.